Weep not for me, but for your selves. 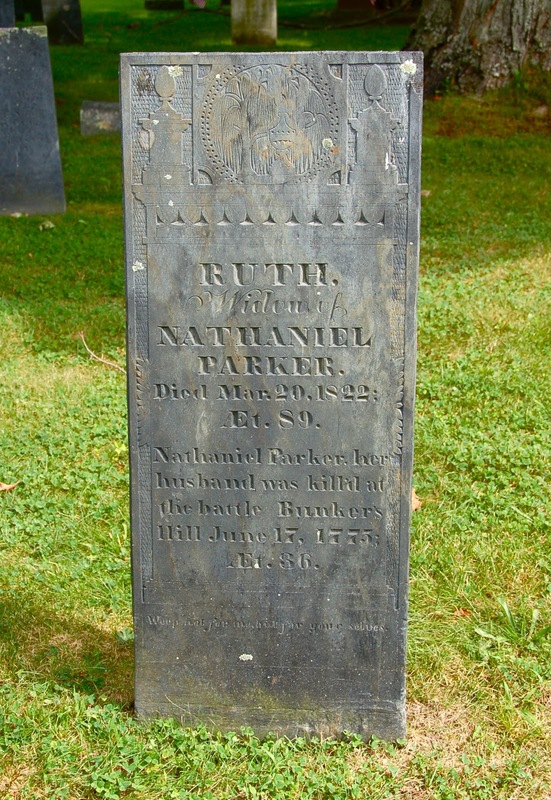 She appears to be Ruth Shattuck, born 7 Jan 1733, although Lemuel Shattuck has an incorrect death date for her. Hypothesis: The Bunker Hill thing was a cover story, and Nathaniel Parker was actually killed by a speeding cart driven by Deacon David Blood. Any chance you have a photo for Nathaniel's?